Along the Front Range, effort is underway to manage damage from wildfires. 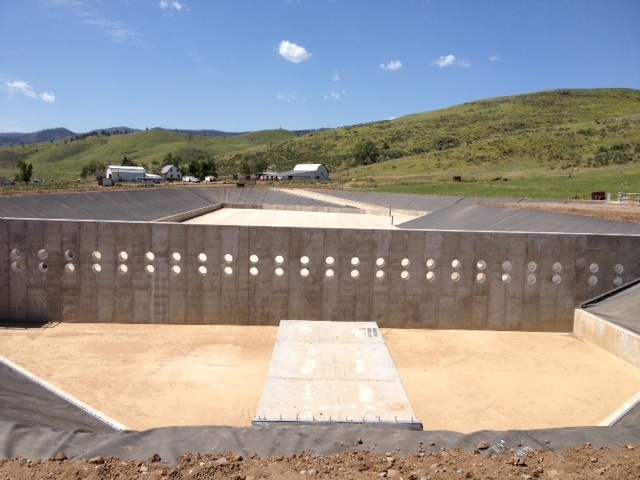 A new concrete tub – a presedimentation basin – is the most recent wildfire-related project by the City of Fort Collins Water Utility and was put to work for the first time on Tuesday June 18th. As kids, we learn about the four seasons: fall, winter, spring and summer. But in Colorado we experience fake winter, fake spring, real winter, and fire. During ‘fire’ season (unwittingly called summer), city customers use 2 to 3 times more water per day than in the so-called winter months. Normally the water provided by Fort Collins Utility is half Horsetooth Reservoir water (transported from the Western slope via the CBT system ) and half Poudre River water. But in 2012’s fire season, we took no water from the Poudre. Zilch. The fire generated unprecedented amounts of ash, debris, and sludgy sediment, mucking up our river that’s both a National Heritage site (only one of 49 rivers in the U.S.! Learn more here and here) and designated as wild and scenic river (info here and here). Combined with restricted access along Highway 14, for three full months, none of the water used in one of the hottest, driest, fire-iest seasons came from the Poudre. That’s 100% reliance on Horsetooth water, which is fine for a while, but not forever. There is strong effort to restore the watershed, like mulching and re-seeding to prevent erosion, stabilize soil and regenerate ground cover. This will reduce the amount of erosion and sediment run-off in the future, but what to do about the existing burned debris and sediment in the meantime? Sediment in a river is normal. The Utility already has a presedimentation basin at the entrance to Gateway Natural Area (you may know it as the round building that marks the entrance to where tubers and rafters put into the river to float down to Picnic Rock). This almost 90 year-old basin is designed to settle out some sedimentation and debris before the water goes into the Pleasant Valley Pipeline, which transports water to the treatment plants during the summer – ahem, fire – months. Typically, this is cleaned out once a year. But in 2012, for example, it had to be cleaned out 4 times in the month of September alone. After traveling through this basin, raw water from melted snowpack is turned into potable water through a treatment plant, located on the west end of LaPorte Ave. Through a series of tests and processes, raw water is transformed into clean, tasty, drinkable water – a main reason for our robust community of breweries:“Napa of Beer” blog and how wildfire affects beer). 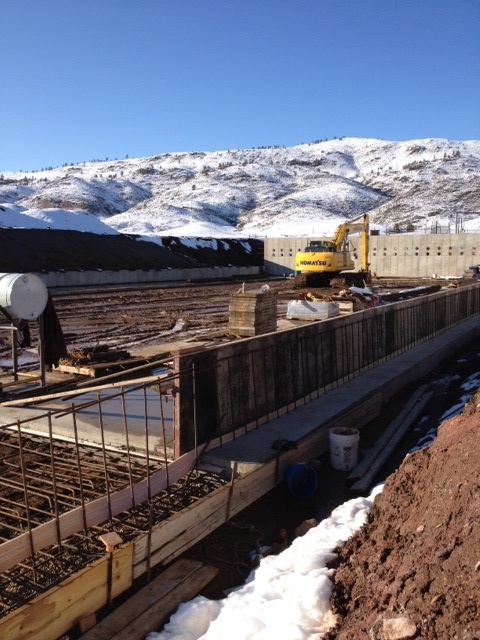 Consistency is key in the water treatment business, which is why Horsetooth water relatively easy to handle. Poudre water, on the other hand, is Fort Collins’ wild child. It is a live, variable, working river. The major reasons for its volatile behavior is that flows naturally vary throughout the year, and every time it rains in the Poudre canyon, the period of increased flow mixes a bunch of ‘stuff’ into the water. This ‘stuff’ is called total organic carbon (TOC), and is decaying or burnt natural organic matter, such as soil, decaying vegetation, and animal and human waste. When there is increased TOC in the river, i.e. high ‘turbidity’, the water has to be treated more extensively (read: expensively), or not at all when the plant shuts down the intake valve. Now, add in the fire effect: when the snow melts or it rains, all of the burned matter on the slopes drain into the river and is transported downstream to our pipelines. Check out this video on how the High Park fire affects water treatment. Excerpt from the corresponding Coloradoan article: “It’s a big deal because we have to remove the sediment for all our processes to work properly, and it creates a lot of additional residuals or sludge that we have to take care of and also any chemicals we have to add to take out all the solids from the system,” Voytko said. Without a new presedimentation basin, any water we divert this summer would bring a ton of sediment and ash into the PV pipeline, which would cause the pipeline to act like a sediment basin instead. This pipe would become clogged like an artery after too many cheeseburgers – not cheap, easy or fun to clean out. Now join me in welcoming the new basin at the existing Munroe Turnout, in the company of farms and llamas, just north of Highway 14. The basin floor is approximately 39,800 sq. ft. – almost eight and a half basketball courts. The basin’s capacity is just shy of three Olympic-sized swimming pools (about 1.8 million gallons). She (it involves water, so it should be a she, right?) went online Tuesday June 18th, and filled in only 90 minutes! The design process started in early February, which translates to less than five months from conception to delivery! 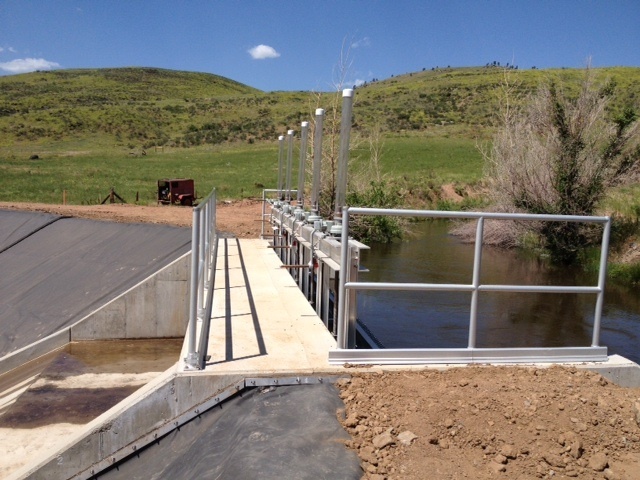 While most people need the full nine months to get ready for a baby, the Utility needed this baby up and running before the heightened water and sediment flows of the summer months. In addition to the basin, an improved, cleverly designed rotating screen filters out large debris like pine needles. At one point it was a full-time job to hang out and remove pine needles, can you imagine that job description? The benefits of the basin include keeping the pipe and treatment system clean and running smoothly. This translates to keeping treatment costs low, which then keeps water rates and bills from increasing. Second, sifting out sediment early ensures more consistent raw water, which ensures easier, less expensive treatment and delivery of clean, potable water. Finally, the City will be able to rely on our senior Poudre River water rights, rather than just Horsetooth water, which will be critical in meeting City water needs. We recently went off restrictions and if we weren’t able to treat Poudre River water, the restrictions may have been more severe instead. The community is great at complying with restrictions, but restrictions have monetary implications, for customers and the utility itself. We’re in the process of understanding the short and long-run effects of the fire on our watershed, but this is one step in the right direction. The Fort Collins Water Board – my wonderful, educational plunge into public service – come to a meeting! — just got a sneak peak of the 2012 (that’s last year, the epic wildfire year) annual drinking water quality report at the June 20th meeting. Let me sum it up for you: Fort Collins’ drinking water is awesome and will continue to be, thanks in part to the new presedimentation basin. More information is available through the Fort Collins Water Utility here.